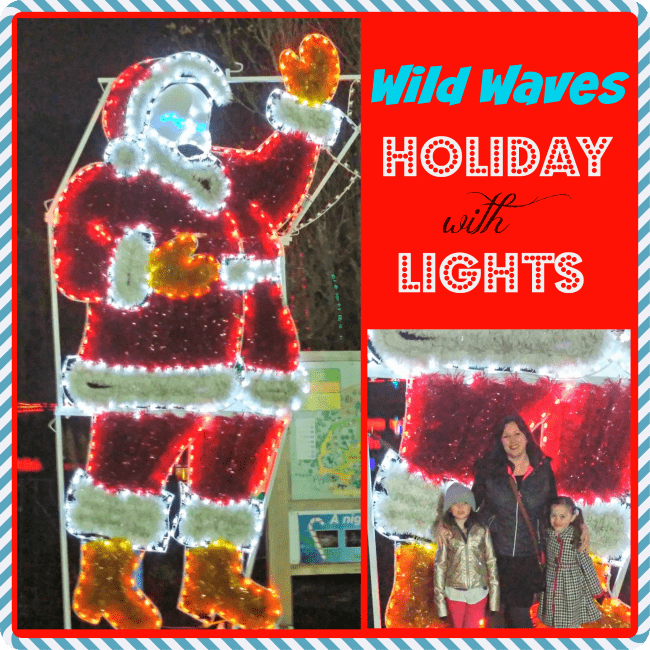 Wild Waves Holiday With Lights Event – Discount Tickets! If you are looking for a deal on where to see Christmas lights, check out this offer for discount tickets to Wild Waves Holiday Lights event! Discount tickets are selling for $14.99 online at Wild Waves, so this is even a few dollars less then their lowest price. Expiration varies. Amount paid never expires. Limit 5 per person. Must use promotional value in 1 visit(s). Valid only for option purchased. Not valid with other offers or promotions. Merchant is solely responsible to purchasers for the care and quality of the advertised goods and services. Offer is not eligible for our promo codes or other discounts. Are you looking for somewhere fun to do some Christmas Light viewing? 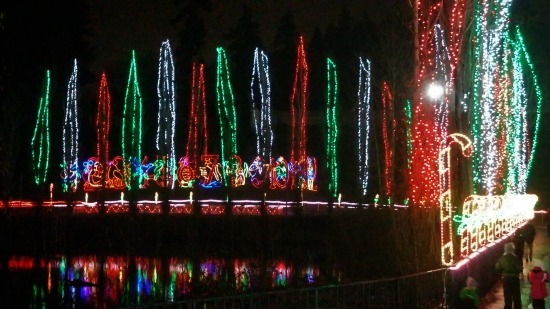 Wild Waves Holiday with Lights event is perfect for the whole family. There is something for everyone to do! You can find a full list of dates and times, as well as all the Wild Waves Holiday with Lights offers here. There are lights throughout the park to look at. They start from the minute you walk in (your greeted by this giant lighted Santa, and then walk along a path lit with a Christmas lights display). There were plenty of lights to look at throughout the park. 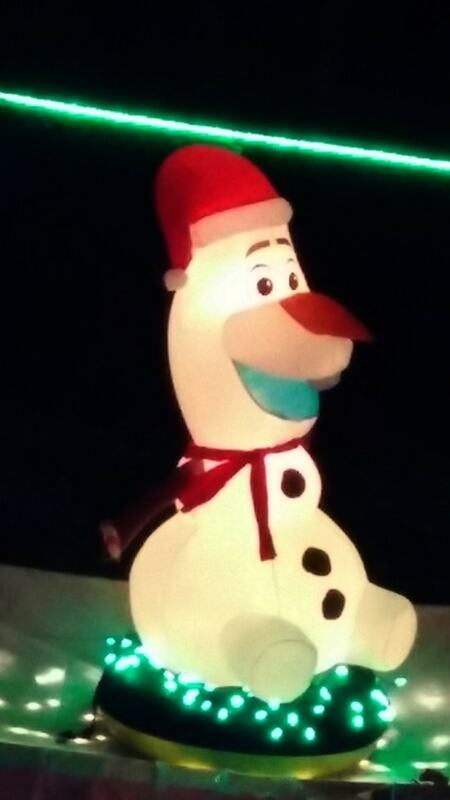 One of my kids favorite decorations was the blow up Olaf! 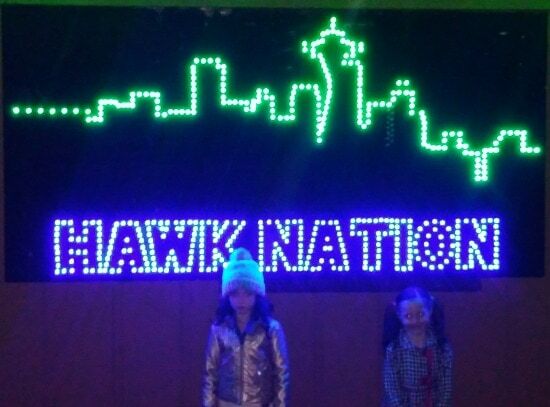 Most of the rides are decorated, and you will even find fun displays like this Hawks Nation one! There are also many different photo opps. There are various props throughout the park where you can peak your head through, and get some fun holiday pictures of your whole family. If you head up to where Lumber Jack Falls is, you will also find professional Santa Photos for very affordable rates! If you have younger kids you will want to be sure to hit Toyland! There is plenty to do with preschool and elementary age kids. 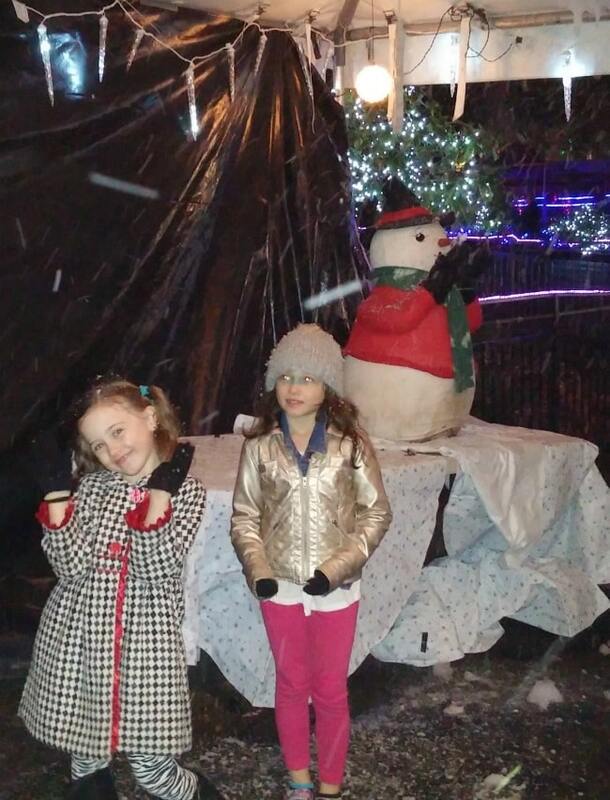 This is my girls enjoying the snow fluttering in the snow tent! 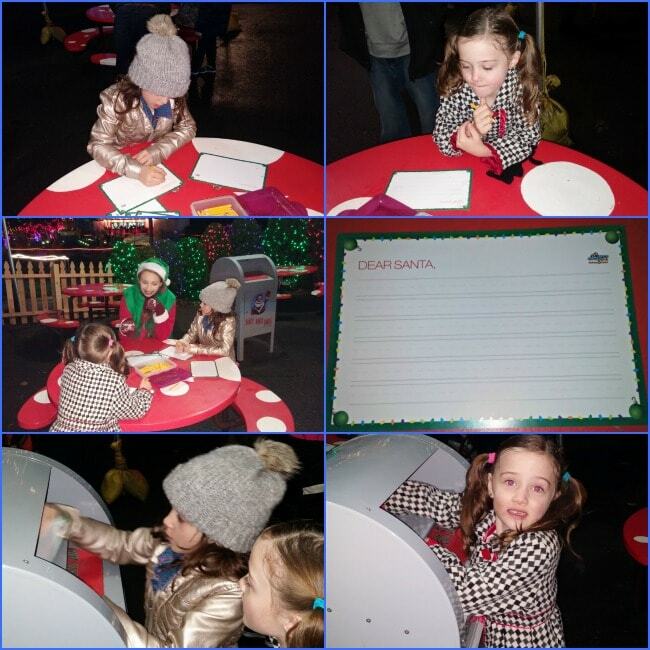 My kids started by writing letters to Santa. If you leave your return address and mail it there, Santa will actually send your kids a reply letter! My girls were super excited to do this, and the elves came and helped them get going on their letters too. It was a highlight for us. 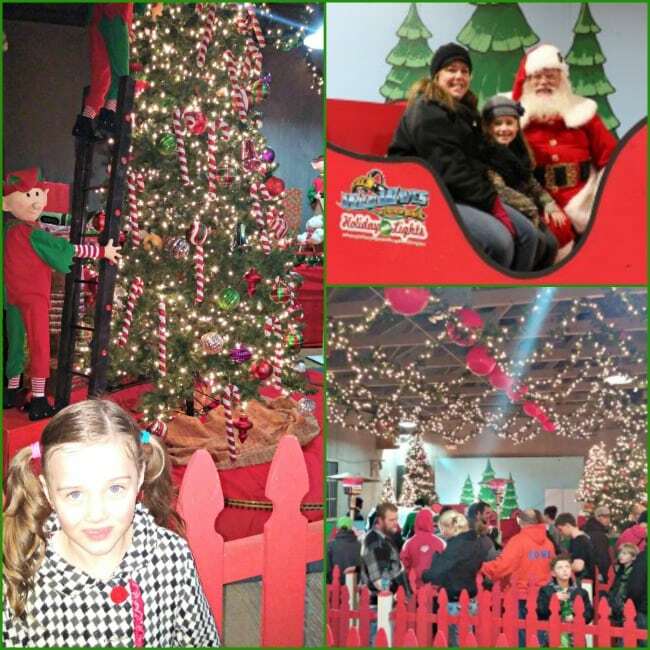 There are elves throughout the Toyland area to help your kids do the crafts, or take pictures with too! And there is a Winter Wonderland tent, where snow blows out on the kids and they can play with it. The centerpiece of Toyland is the stage you see above, where they host sing alongs and Santa story times. 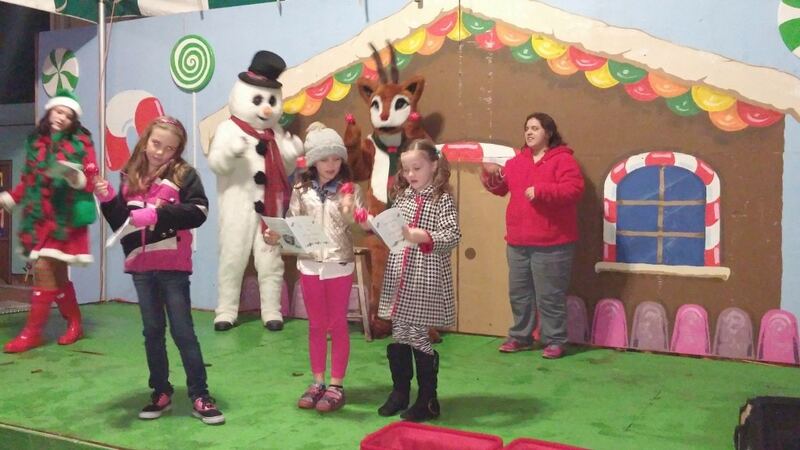 Another highlight for my girls was the Toyland Sing A Long. In addition to classic Christmas Carols, they sang *Let It Go* from Frozen, and we got a fun video of my kids performing for that song. They will love to look back on that one when they are older I am sure! There is also a story time with Santa each evening, and you could use that as a photo opp to get free santa photos too! In addition to all the Holiday fun, you can enjoy the Amusement park rides that you come to Wild Waves to have fun on too. It is a nice value for your money, since its less then it cost to go to a movie and there is plenty to do! Be sure to check out the Wild Waves events page for other happenings. You can get FREE pictures in the KISS 106.1 photo booth on the nights they are there too. Note that this coming Saturday (Dec. 13th) you can get HALF off a General Admission Adult ticket with the donation of a NEW, unwrapped toy (great opportunity to give and save)!, for the Sleep Country Foster Kids Toy Drive. You can get discount tickets for online for $9.99, or at participating Safeway stores. Age 3 and under are free, groups of 15 + are $9.99 ea. Parking is an additional $5 for general parking, or $10 for VIP (this is per their website, I am not certain if they were charging during the holiday event or not – working to confirm that for you). The rides, crafts, shows and lights are included with the admission price. Dress warm, there are not too many indoor areas to go warm up if the kids get cold. Pay special attention to warm shoes and socks. The rides can get wet, and the ground was wet – and so feet got quickly cold. Be flexible, depending on the weather – rides may shut down at different times due to them being wet. If you go on a dry evening you will run into this less – but just be prepared to be flexible with your plans if its raining out. If you want to save money on food, either eat before you come or have a picnic packed in the car. Its open from 6pm to 10pm on the weekends, so they are not hard times to work around dinner schedules. Splurge on a hot drink if the kids get cold. You cannot bring your own food into the park, but you can leave it in your car and get a stamp to reenter if you go to eat out there. I love seeing all thelights. My kids love all the rides! Would love to go and see the lights! My son’s favorite ride is the jungle safari! I haven’t been to wild waves in a long time. I would love to go and take my kids! Would love to see Santa! We’ve never been, so we would look forward to all of it and of course Santa! I subscribe to the email. I shared on the facebook page. I look forward to seeing Santa and the incredible lights. 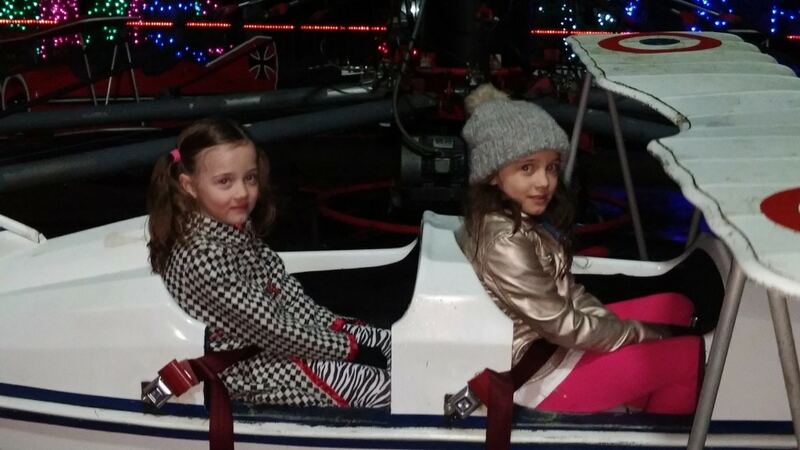 My kids would love the rides & I’d love that it’s in a holiday atmosphere. I liked the Wild Waves Facebook page, subscribed to the Thrifty NW Mom email & commented on the Thrifty NW Mom Facebook. Hoping to take my almost 4 year old on his Birthday to enjoy the rides and lights! I like the Wild Waves fb page. I am looking forward to all of the lights! my kids (6,4,2) have never been, so they would be excited for ALL the rides! I want to go on the Timberhawk. My family would love to win because we have never been. So it would be a fun surprise to see what is there. I have subscribed to the email newsletter. I liked Wild Waves facebook page. I shared Wild Waves giveaway on facebook. I want to take kids to Toyland and see all the lights! I would love to see all the lights. I am really looking forward to seeing all the lights and riding the rides with my family!!! I would love to see all the light displays and my kids would love to see Santa. we have never been to wild waves holiday lights so we don’t know what ride or activity is coolest. But letters to Santa and snow falling sound awesome. 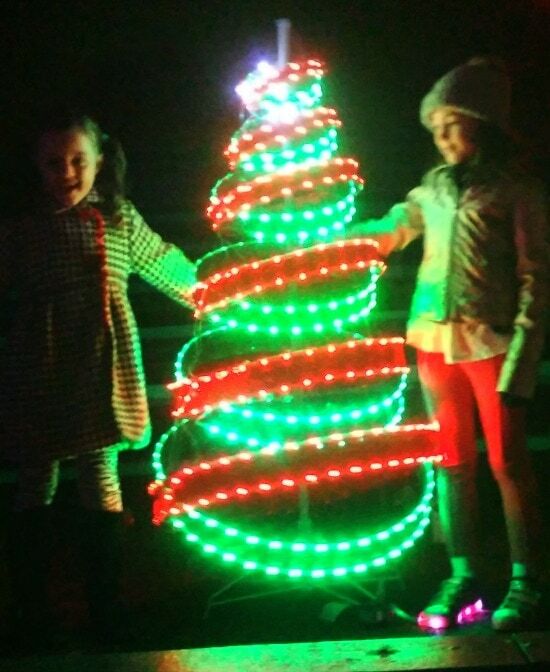 We’ve never been to their holiday lights, so it would be fun to see it all! I emailed my friends about this. I like the Wild Waves facebook page. Out family loves the farris wheel. The one you lay down on and you feel like you’re flying! I shared this great giveaway! I commented on your awesome FB Page! We’ve never been. Want to try all the rides! I look forward to seeing Santa and the incredible lights at the Wild Waves Theme Park! already a fan of Wild Waves Theme Park!